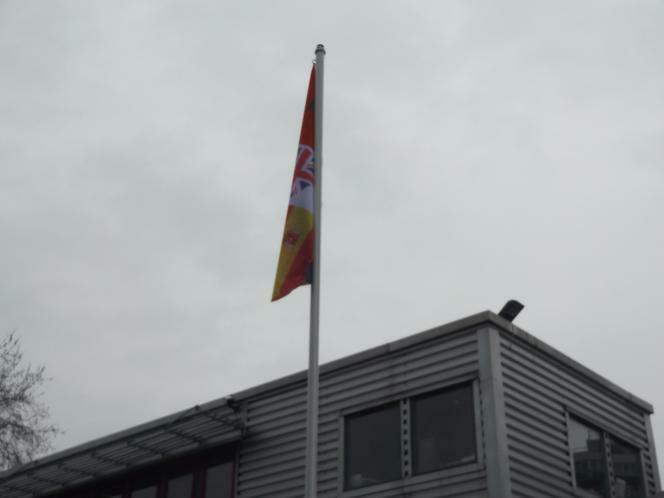 The winning entry from our flag competition today flew from the Kilburn Park flagpole. As part of our work on British Values, and the varied nationalities represented at the school, children were challenged to design their own personal flag. 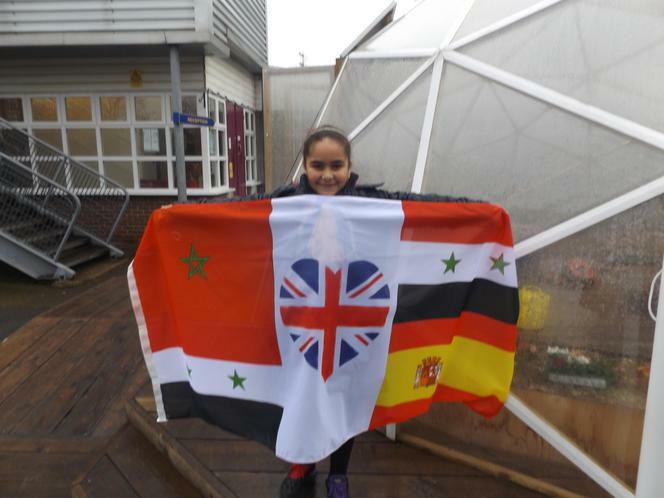 Maram (Year 5) chose to combine the flags of Spain, Morocco and Syria with a heart in the colours of the union flag. This design was judged the winner by Chair of Governors, Mary Arnold.